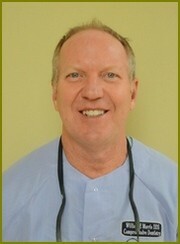 Dr. William “Rusty” Morris graduated from the University of North Carolina School of Dentistry in 1978. He was in private practice in Eden, NC for 28 years before transitioning that practice to move here in 2007. When he is not in the office he could be in a number of places. He is an adjunct professor of Operative Dentistry at the UNC School of Dentistry where he oversees student clinics. He is an active member and past president of the Hollenback-Medina Operative Dentistry Seminar, a participative study club that was founded in 1964. He is a past president of the Academy of Operative Dentistry. Dr. Morris has served as President of the Dental Foundation of North Carolina. You might also find him at the Virginia Museum of Natural History where he is a Board member or the Rotary Club of Smith Mountain Lake where he is an active member. 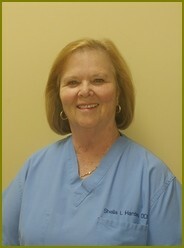 Hi, I’m Norma a Graduate from SUNY Farmingdale’s Dental Hygiene program. My family and I moved here about 15 years ago and love living in this area. 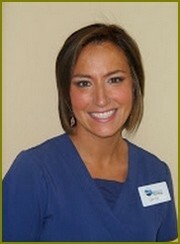 I have been at Blue Ridge Dental Group since its 2007. I thoroughly enjoy being here, and working with our patients. I received my B.S. degree from Ohio State University in 1974 and moved to Roanoke, Virginia. 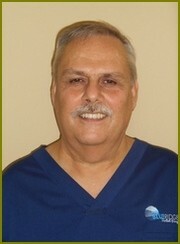 I have been working in the Dental field for over 30 years. I am married and have two grown sons, one is in Administration in Roanoke County Schools, and the other is a Professional Chef in San Francisco, California and just opened a new restaurant. Hi, I'm Linda. I grew up in Michigan and graduated from Ferris State University in . After living in Illinois for 10 years, I moved to Roanoke in 2006 . I have been associated with the Blue Ridge Dental Group since and am happy to call the Smith Mountain Lake office home. Outside of work I enjoy watching my teenage boys play sports and spending time outdoors. Hello I’m Cindy! 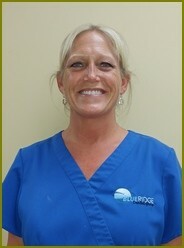 I joined the Blue Ridge Dental Group Team in November 2009. I have 22 years of Dental experience. A native of Iowa, I moved to Virginia in 1996 with my husband Ron and four children; Justin, Ronni-Lynne, Emily, and Asher. 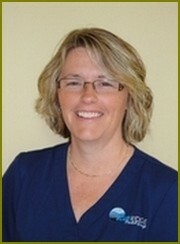 I thoroughly enjoy working with patients and helping ease and over come their dental anxieties and phobias. Hello, I'm Chrissy! I started with Blue Ridge Dental Group in 2013. 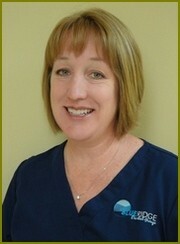 I have been assisting for 13 years and I love dentistry! Outside of work I love spending time outdoors with my husband John.